There was a time when people used to spend a lot of money on a printer, scanner, copier, and a fax machine, but today we have all-in-printer that has all the functions that make our work easier and also save our money. The small organizations don’t need to buy all the machines to perform different tasks, the all-in-one printers is the best and affordable device. All-in-one printers can be used in home and offices; they make several copies of a document in less time. 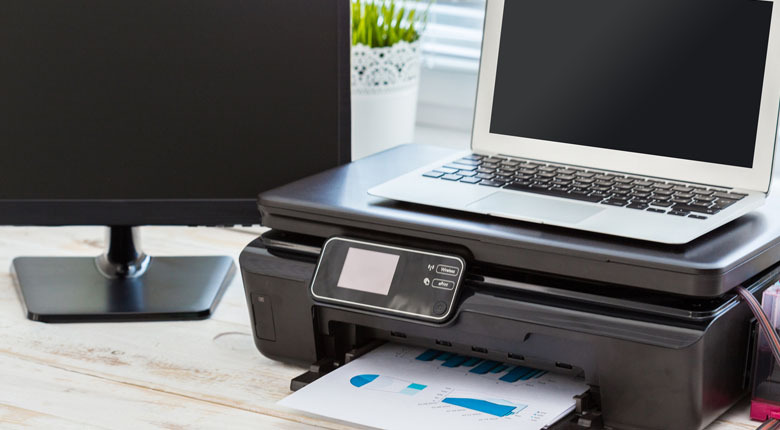 Many all-in-one printers offer wireless connectivity, AirPrint compatibility, and duplex printing. Now, you might be thinking which printer is best for you to pick as there are gazillions of all-in-one printers from infinite brands. Every printer gives an output of various resolutions and has different sheet capacities. To get the clear idea about the printer that fulfills your demands and meet your needs, have a look at the Top 10 Best All-In-One Printer. HP printers are well-known for its performance and Envy 4500 wireless color photo printer is one of the best creations of HP. It scans the pictures and data in a quick manner. Plus, it makes several copies with a sharp color. Its speed for black and color print is about 8.8 ppm and 5.2 ppm, respectively. This all-in-one printer easily connected to your computer, mobile phone, and tablet. With the HP Envy 4500 Wireless Color Photo Printer, you can experience a borderless printing. This duplex printer is verified by energy star. This all-in-one printer crowned as “Best Seller” on Amazon. Canon PIXMA MG2420 Color Photo Inkjet All-In-One Printer gives HD print that is good for home and office use. It offers some good features that include red-eye correction, photo printing, special filters, document printing, automatic photo fix, and quiet mode. You can print, scan, and copy the documents quickly and silently. The resolution of printers matters a lot; this printer produces an output of 600 x 1200 DPI with the color depth of 48 bits. The Canon PIXMA MG2420 Color Photo Inkjet is an efficient all-in-one printer. HP Officejet 4630 Wireless All-in-One Inkjet Printer earned the label of “Best Seller” on Amazon and verified by energy star. It has a touch screen of 2.65 inch that allows you to edit the content. The memory card slot, wireless printing, automatic document feeder, 2 sided printing, and easy mobile printing are the features that make this printer user-friendly. It’s perfect for printing, scanning, and also sends faxes. It is available at an affordable rate that makes this printer best for small businesses. HP Officejet Pro 6830 Wireless All-In-One Inkjet Printer (E3E02A#B1H) is also a product of HP that engineered with the intention to provide ease to the users by making the print, copy, fax an easy task. Small businesses and organizations can easily afford this printer without compromising the quality. It has all the good features that make it worth buying. It offers an easy wireless setup, duplex printing, touch screen, borderless printing, Ethernet connectivity, and mobile printing. You will get a sharp output as it produces good resolution and comes with a warranty of 1 year. The demand of all-in-one printers is increasing day by day, so Epson introduced the Expression XP-410 Wireless Color All-in-One Inkjet Printer for the customers on a limited budget. This wireless machine is perfect for the home and office use as it is designed to produce high-quality output. It has an LCD of 2.5 inches that shows the preview of the content that makes it easy for you to edit it according to your needs. It has a speed of 8.5ppm and 4.5ppm for black and color. It is small in size, but great in performance. Canon PIXMA MX472 Wireless All-In-One Inkjet Printer is perfect for small and new business as they will get many benefits out of it. Performance wise it is perfect and its quality is unbeatable. Plus, it is a budget friendly wireless all-in-one printer. It has an AirPrint function that allows you to print from anywhere. You can fax multiple papers, scan anything you want, and print high-quality content that will definitely boost your business. It produces a marvelous resolution of 4800 x 1200 DPI. Brother HL-2270DW Compact Laser Printer offers wireless networking and duplexing. It has a standard memory of 32 MB and can print 27 pages per minute. It is a fast all-in-one printer that performs better than many other printers. It has a paper tray with the capacity of 250 sheets. The use of this printer is easy; you just need to connect it and it’s ready to use. The Brother HL-2270DW Compact Laser Printer offers a resolution of 2400 x 600 dots per inch. Brother HL-3170CDW Digital Color Printer is known for its wireless networking and fast working abilities. It produces a high-quality resolution of 600 x 2400 DPI that is perfect for small businesses and home use. It has a capacity of 250 sheets in a tray; you don’t need to load the papers frequently. It has features that include AirPrint, WiFi direct, Google cloud printing, and a high yield color toner option that reduces the per page cost. Epson WorkForce WF-3540 Wireless All-in-One Color Inkjet Printer offers duplexing that saves your pages. It has a touch screen of 3.5 inches, navigation, sheet capacity of 500, and mobile printing. Sending a fax, scanning documents, printing content has become simple and user-friendly with this Epson WorkForce WF-3540 Wireless All-in-One Color Inkjet Printer. It also supports the USB and memory cards and gives a fantastic output of resolution 5760 x 1440 DPI. IT built with an improved technology that makes it a durable all-in-one printer. HP Officejet Pro 8600 Plus e-All-in-One Wireless Color Printer has a speed of 16 pages per minute for color and 20ppm for black. It has a memory of 100 pages for fax, the scan resolution of this machine is 4800 DPI, and the resolution of the copier is 1200 x 600 DPI that produce 99 copies. You can place it anywhere, no need to place it near the computer or other devices. It has all the functions and features that any organization needs to enhance their business.